House league soccer is where most children begin their soccer careers. The focus is on learning and development not necessarily on wins and losses. All teams are comprised of Empire players who "compete" in our own league. Any girl or boy between the ages of 5 and 14 who is interested in learning more about soccer should join. Experience and skill level should not deter you from signing up. House league is the perfect soccer classroom for any student. Most importantly at Empire, we are focused on *each* individual child's development. We want each child to be the best player he or she can be. 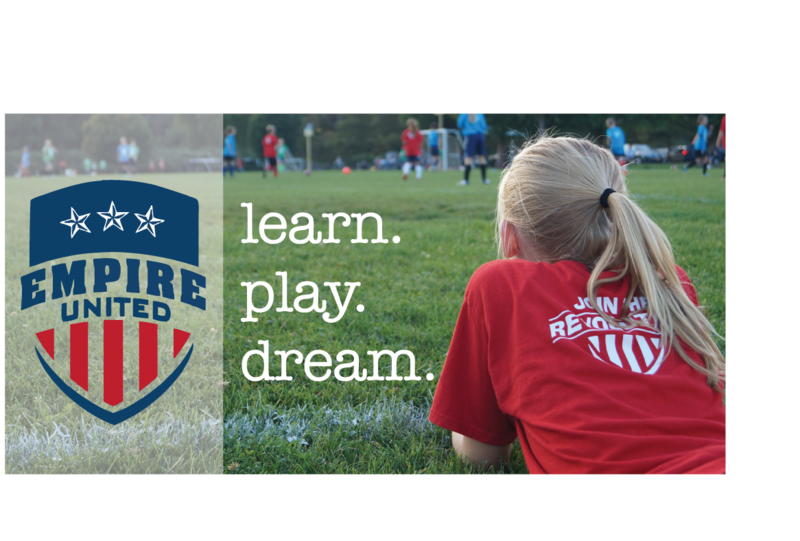 Every child will be trained by a licensed, professional Empire coach with an age appropriate curriculum developed by U.S. Soccer. Our staff is unparalleled by any other in Western N.Y.
Children should come dressed in appropriate athletic clothing. Appropriate footwear is either soccer cleats or indoor flats. Our youngest players often prefer to wear their sneakers; that is acceptable. Shin guards should be worn under your child's socks to every game and practice. Players should also bring a soccer ball marked with his or her name. Empire will provide a training shirt similar to the one worn by our premier players and it should be worn to every practice and game. Parents are asked to serve as volunteer coaches on game days. Parent coaches may also work with the licensed coaches during training sessions to learn more about coaching. Parents should volunteer to help during games when registering online. Each session costs $99. For those wishing to pay online with a credit card, there is a $7.57 charge. You may register online and pay by check to avoid the convenience fee. All checks must be received before a session starts for your child to be permitted to start training. Registration is done online. Please provide complete information for accurate division placement. Click here to be taken to the registration page. What to do if you miss registration. Once registration is closed, we will work with you to see if we can fit your child into the session. Space is limited so please understand if we cannot honor your request. Click here to email us or use house@empireunitedsa.org. What to do if you have questions. Click here to email us with any questions. We will get back to you as soon as possible. Please give us 24 hours to respond to your email. Alternatively, our email is house@empireunitedsa.org if you need to type it into your email.